COUNCILLORS have unanimously backed plans to build a large Hindu temple in Northampton, four years after they were first revealed. 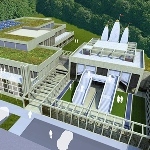 The Indian Hindu Welfare Association revealed plans to build the 12 million temple in Lings Way, Lumbertubs, in 2008. And on Tuesday night, Northampton Borough Councils planning committee finally gave the green light for the development to go ahead. Welcoming the development during a meeting at the Guildhall, the areas councillor, Lee Mason (Lab, Brookside) said: I think this is a very exciting project. It will give the area wonderful facilities and will be really good for the eastern district. As well as a space for worship, the development will include a range of sports and leisure facilities. Among them will be a cinema which will show Bollywood ﬁlms and sports facilities where people could play badminton, ﬁve-a-side football and indoor cricket. 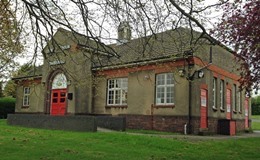 There will also be regular pilates, gymnastics and martial arts classes held at the centre as well as health workshops and classes in music, rakei, yoga and dancing. The centre will also have business meeting rooms, a creche and a day care centre as well as vegetable gardens which will be rented out to the public. The only concerns which were raised during the planning meeting focused on the traffic which could be generated by the development. But the council heard that 50 per cent of the areas Hindu community live within walking distance of the site, so many will not travel by car.